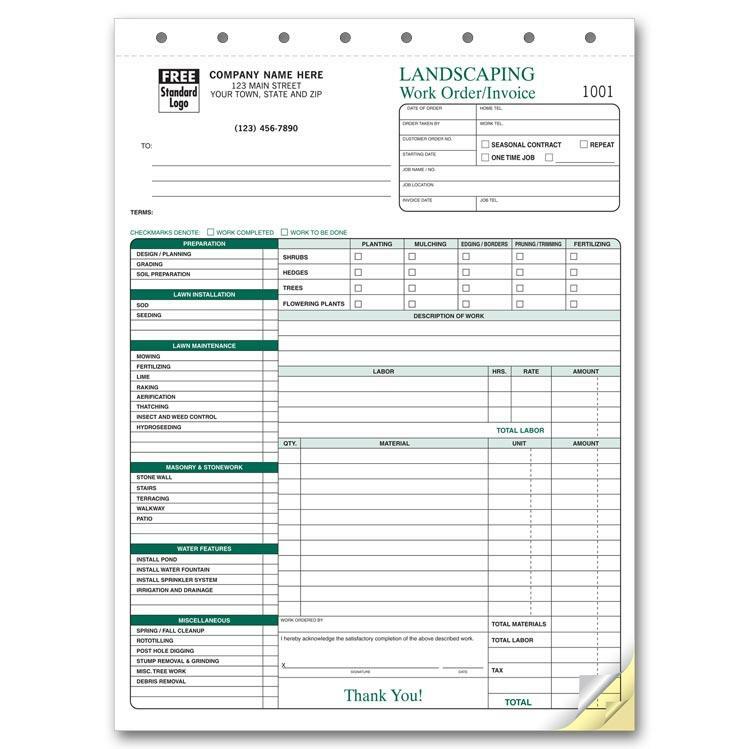 Order your Landscaping Maintenance Agreements forms at DesignsnPrint. 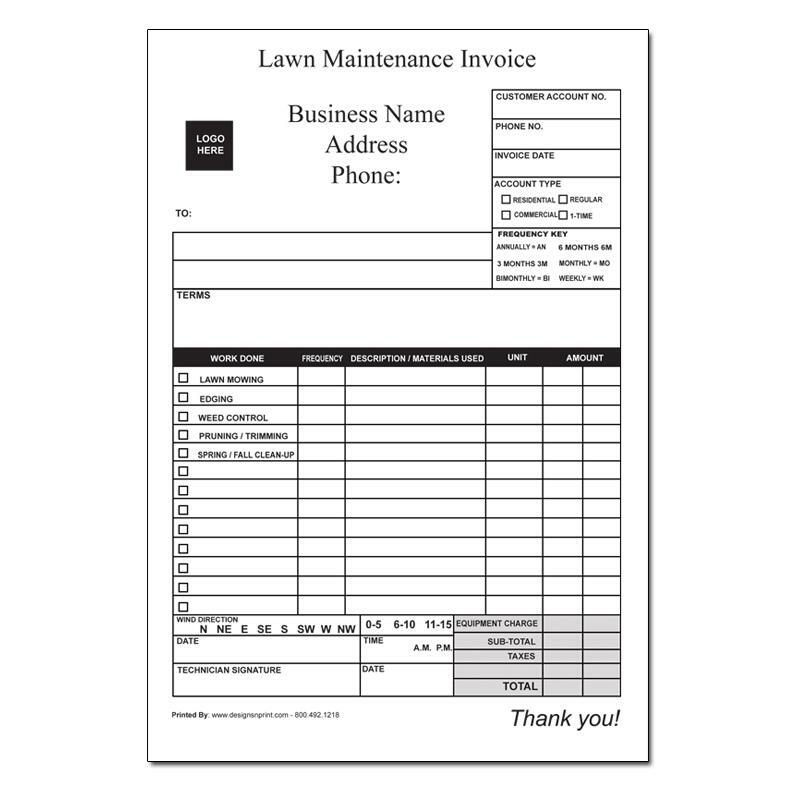 We offer Custom Invoice Printing on carbonless paper. 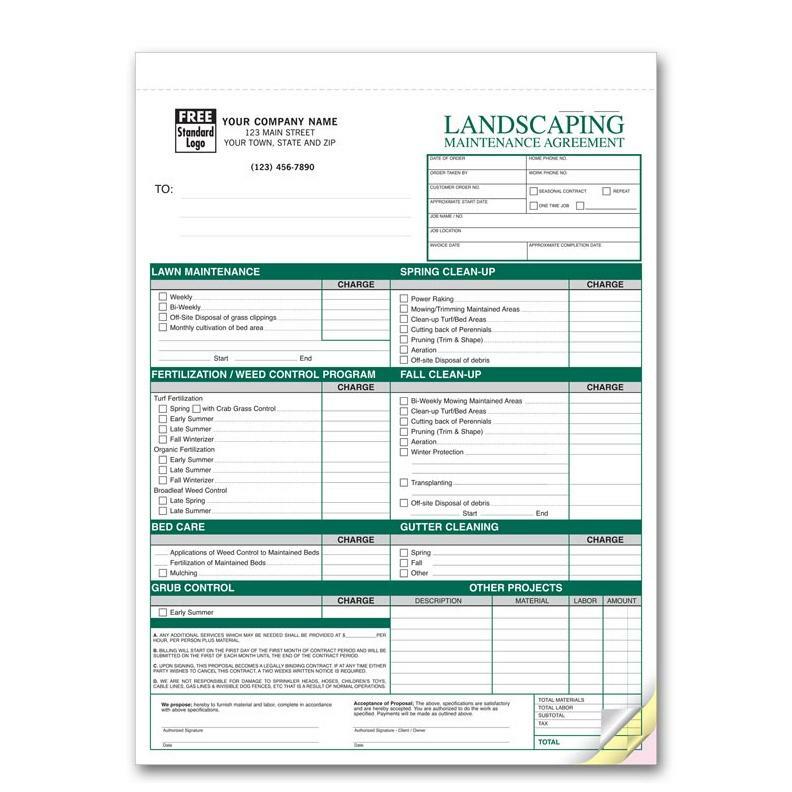 Give your company a professional look with landscaping maintenance agreement forms. You will be able to list all the details of work to be done while providing a signed contract establishing the terms of your job. 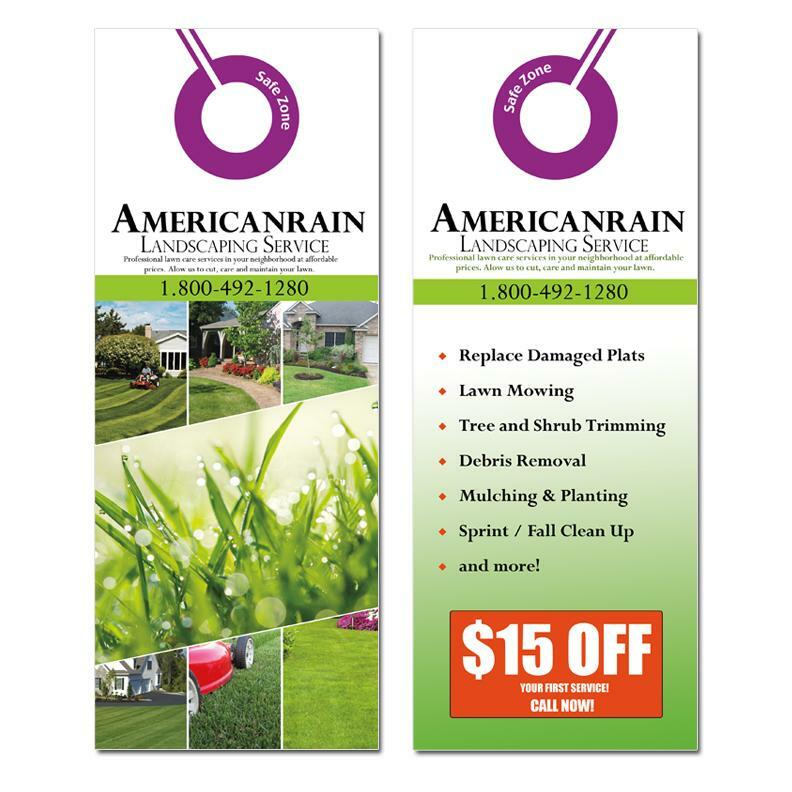 This form is already Pre-printed with standard terms of agreement.